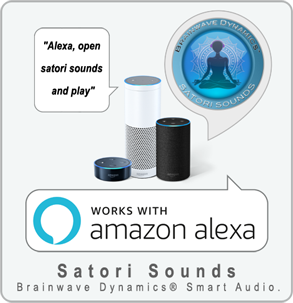 Brainwave entrainment, also referred to as brainwave synchronization and neural entrainment, refers to the hypothesized capacity of the brain to naturally synchronize its brainwave frequencies with the rhythm of periodic external stimuli, most commonly auditory, visual, or tactile. 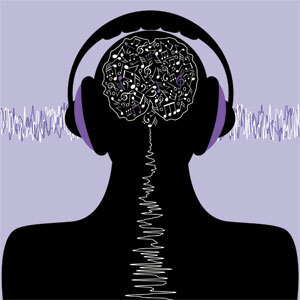 It is widely accepted that patterns of neural firing, measured in Hz, correspond with states of alertness such as focused attention, deep sleep, etc.It is hypothesized that by listening to these beats of certain frequencies one can induce a desired state of consciousness that corresponds with specific neural activity. The frequency following response (FFR), also referred to as frequency following potential (FFP) or envelope following response (EFR), is an evoked potential generated by periodic or nearly-periodic auditory stimuli. Part of the auditory brainstem response (ABR), the FFR reflects sustained neural activity integrated over a population of neural elements: "the brainstem response...can be divided into transient and sustained portions, namely the onset response and the frequency-following response (FFR)". It is often phase-locked to the individual cycles of the stimulus waveform and/or the envelope of the periodic stimuli. It has not been well studied with respect to its clinical utility, although it can be used as part of a test battery for helping to diagnose auditory neuropathy. This may be in conjunction with, or as a replacement for, otoacoustic emissions. Auditory illusion are false perceptions of a real sound/outside stimulus. These false perceptions are the equivalent of an optical illusion: the listener hears either sounds which are not present in the stimulus, or sounds that should not be possible given the circumstance on how they were created. Auditory illusions highlight areas where the human ear and brain, as organic survival tools, differentiate from perfect audio receptors; this shows that it is possible for a human being to hear something that is not there and be able to react to the sound they supposedly heard. Neural oscillations, or brainwaves, are rhythmic or repetitive patterns of neural activity in the central nervous system. Neural tissue can generate oscillatory activity in many ways, driven either by mechanisms within individual neurons or by interactions between neurons. In individual neurons, oscillations can appear either as oscillations in membrane potential or as rhythmic patterns of action potentials, which then produce oscillatory activation of post-synaptic neurons. At the level of neural ensembles, synchronized activity of large numbers of neurons can give rise to macroscopic oscillations, which can be observed in an electroencephalogram. Oscillatory activity in groups of neurons generally arises from feedback connections between the neurons that result in the synchronization of their firing patterns. The interaction between neurons can give rise to oscillations at a different frequency than the firing frequency of individual neurons. 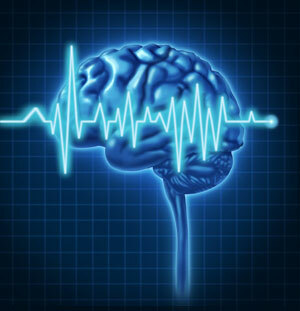 A well-known example of macroscopic neural oscillations is alpha activity. Neural oscillations were observed by researchers as early as 1924 (by Hans Berger). More than 50 years later, intrinsic oscillatory behavior was encountered in vertebrate neurons, but its functional role is still not fully understood. The possible roles of neural oscillations include feature binding, information transfer mechanisms and the generation of rhythmic motor output. Over the last decades more insight has been gained, especially with advances in brain imaging. 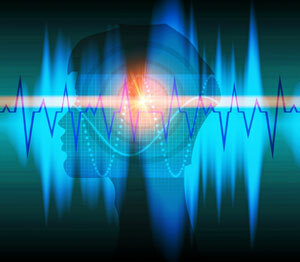 A major area of research in neuroscience involves determining how oscillations are generated and what their roles are. Oscillatory activity in the brain is widely observed at different levels of organization and is thought to play a key role in processing neural information. Numerous experimental studies support a functional role of neural oscillations; a unified interpretation, however, is still lacking. 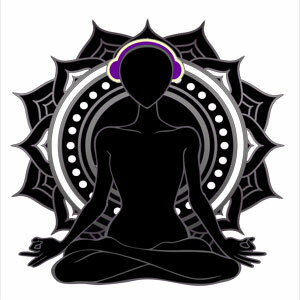 Meditation music is music performed to aid in the practice of meditation. 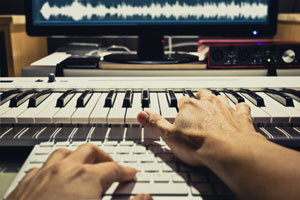 It can have a specific religious content, but also more recently has been associated with modern composers who use meditation techniques in their process of composition, or who compose such music with no particular religious group as a focus. The concept also includes music performed as an act of meditation.